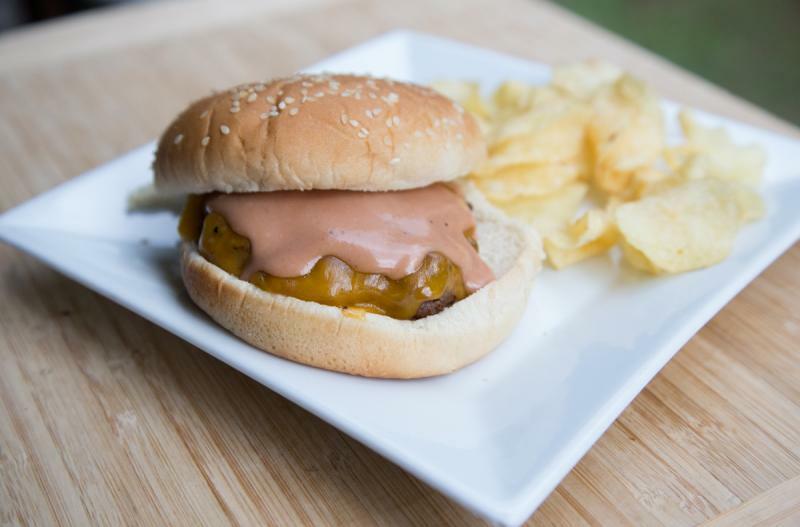 These burgers are mouth-watering, and the sauce adds a little extra flavor! Combine the ground beef, grated onion, minced garlic, Worcestershire sauce and salt. Form into 4 patties. Place the patties on the grill tray or veggie basket. See note about ways to keep patties together when grilling. Grill for 5 to 6 minutes per side, or until internal temperature should reach 165 F. If you need to cook the patties a little longer then you can move them to a cool part of the grill until they’re done. Meanwhile, stir together the BBQ and mayonnaise. Once burgers are cooked, assemble with cheddar cheese and BBQ-mayo sauce on buns. 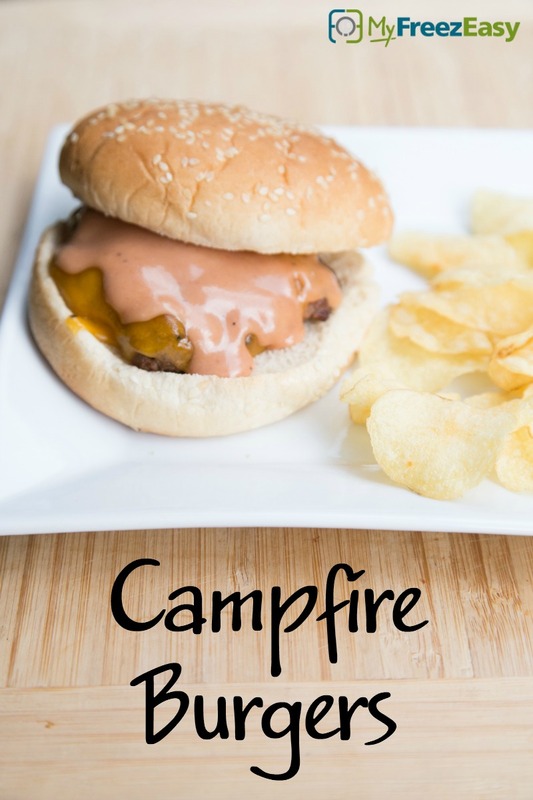 Serve Campfire Burgers with fruit and/or chips. Combine 2 lbs. ground beef, grated chopped onion with 2 tsp minced garlic, 2 tsp Worcestershire sauce, and 2 tsp salt in a medium mixing bowl. Form into 8 patties. Put baggie in the freezer and freeze up to 6 months in fridge freezer or 12 months in a deep freezer. Thaw in the fridge overnight, or a warm bowl of water for about 20 minutes, before transferring to the grill and grilling as directed. If you don’t have a tray for your grill, put the patties in the freezer for 30 minutes to help them firm up and hold together better when grilling. Or you could grill them from partially frozen. Alternative cooking method: wrap the patties tightly in foil and place them in a 350 F oven for about 5 – 10 minutes until the desired temperature is reached. Recipe is dairy-free when you omit the cheese slices. Recipe is gluten-free when served with gluten-free bun or in lettuce wrap. Thaw and grill for 5 to 6 minutes per side, or until cooked through. Mix up BBQ-mayo sauce. Serve on buns with cheddar cheese and sauce, plus chips and fruit.